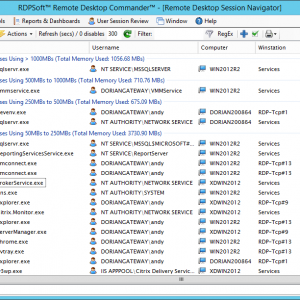 Remote Desktop Commander Lite Is Now Free! 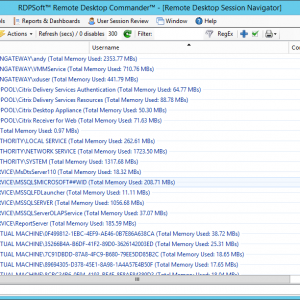 Greetings fellow Remote Desktop Services and Citrix admins – we hope you’re doing well. 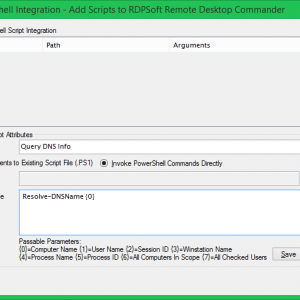 Here at RDPSoft, we’re proud to announce that we’re making Remote Desktop Commander Lite COMPLETELY FREE for everyone in the server based computing community. Previously priced at $99 per admin, you can now download and use it freely in perpetuity. It’s our gift to you all, and we hope you enjoy it. 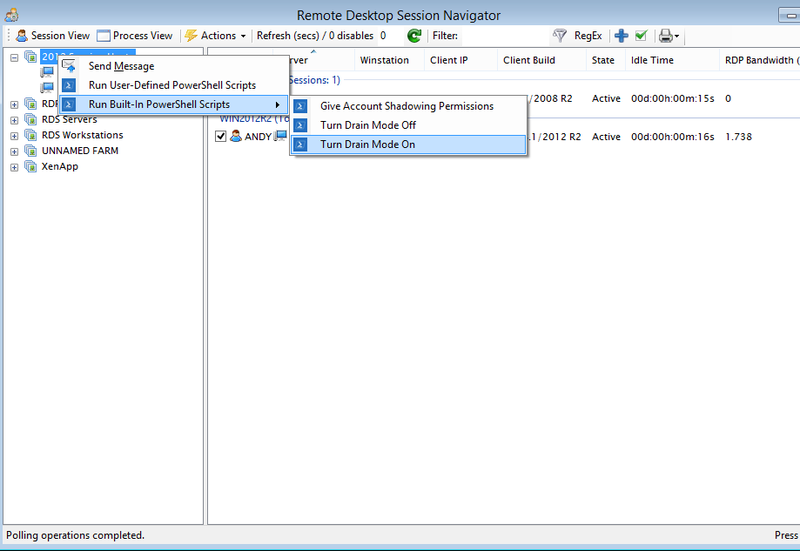 It is also our hope that, with the free version of Remote Desktop Commander Lite, Windows Server 2012 RDS admins will no longer have to struggle with Server Manager to perform fundamental, basic tasks like shadowing, viewing connected users, resetting user sessions, terminating hung processes, and sending messages. 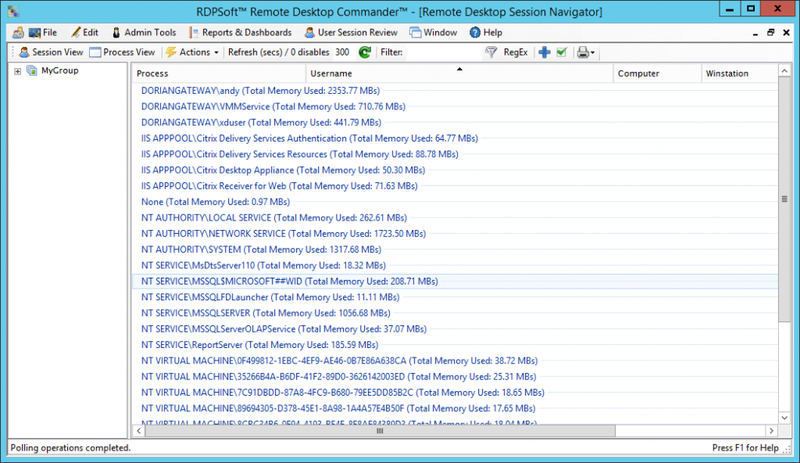 Now workgroup deployments of Remote Desktop Services or “connection-broker less” deployments can be managed as well! 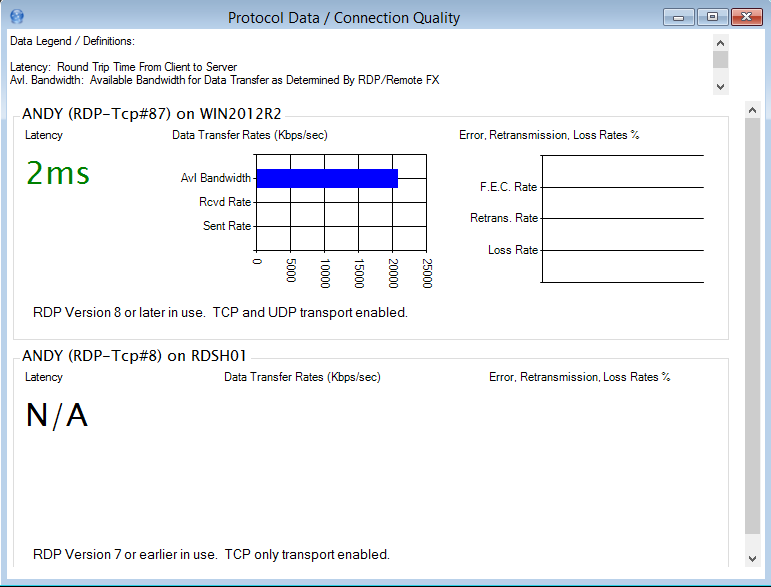 The ability to view and monitor RDP latency and connection quality on RDP 8 connections. 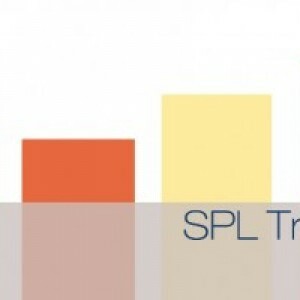 The ability to automatically group and sort sessions intelligently by user, computer, activity level, bandwidth consumption, and client OS level. 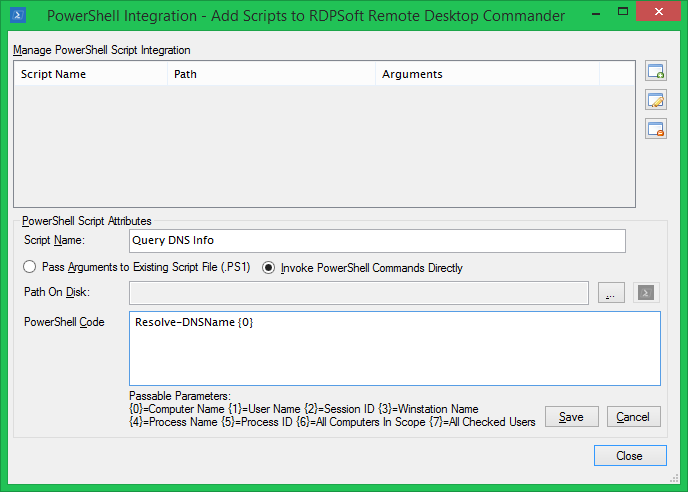 The ability to add in user-defined, parameterized PowerShell scripts to extend the functionality of Remote Desktop Commander Lite. 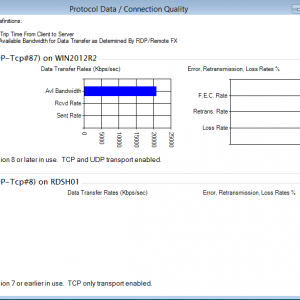 The ability to manage RDS connections on any Windows OS level or role, be it Windows 7, Windows 8, Windows 10, Windows Server 2008, Windows Server 2012, or Windows Server 2016. 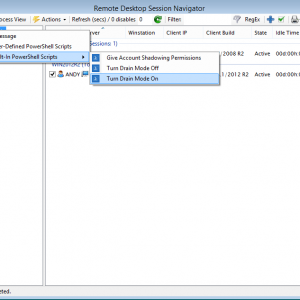 Move past Server Manager for RDS management, and start using Remote Desktop Commander Lite today. 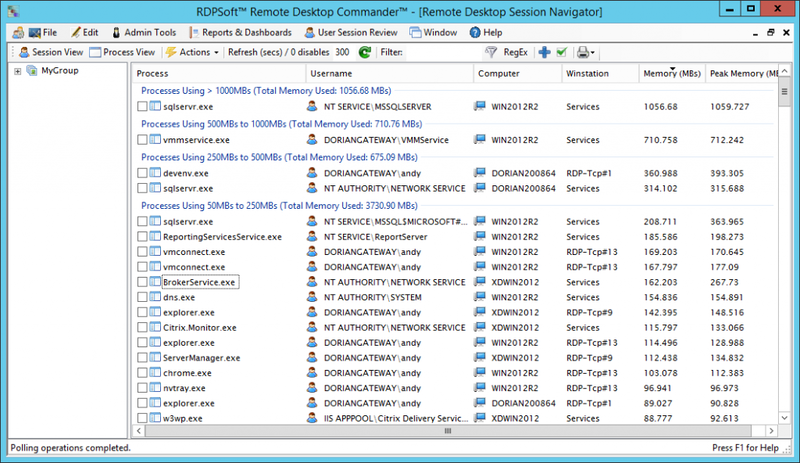 Learn more about how Remote Desktop Commander Lite replaces TSAdmin for both legacy Server 2008 and newer Server 2012 RDS deployments. 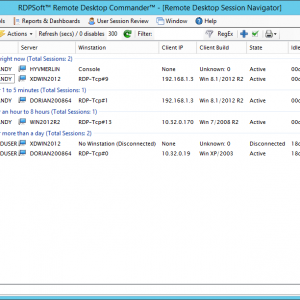 Need personalized support for Remote Desktop Commander Lite? Purchase support incidents here. 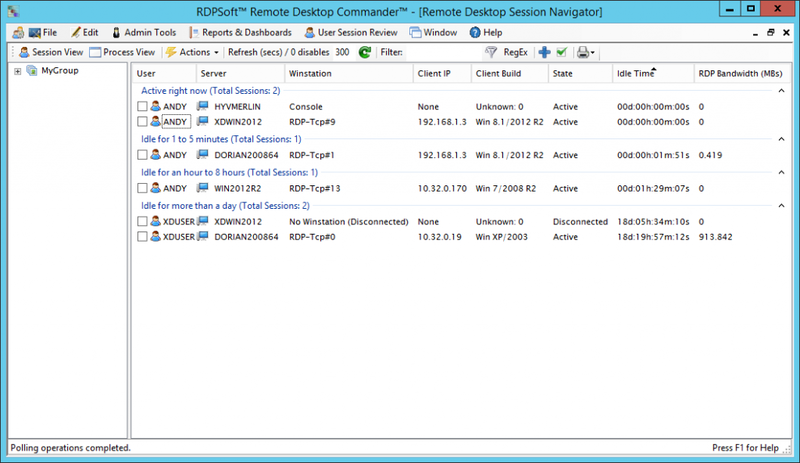 Learn more about the full Remote Desktop Commander Suite solution, for session recording, historical reporting on RDS/Citrix farm metrics, license tracking, performance monitoring, and much more. All for only $9 per server monitored per month.